Vicki has a spare copy of one of her IK issues and offered it up to her readers. I think it’s a great idea, so here’s mine. It’s Summer 2004. You can find pics of all the designs here. Designers include Kathy Zimmerman, Shirley Paden, Norah Gaughan, Véronik Avery, Teva Durham, Annie Modesitt, Nancy Bush, and Beth Brown-Reinsel. 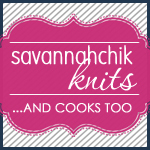 Articles include Knitting out of the Pantry which talks about nontraditional fibers such as hemp, bamboo, stainless steel, soy and paper; Beyond the Basics: Working with Two Yarns which details 3 ways to knit and purl with two colors. Leave a comment by end of day Tuesday if you’re interested and I’ll randomly pick one! there is a lot of good stuff in that issue! Also de-lurking to say, “no, pick me!” There are some nice patterns in that issue that I’d like to try. Also de-lurking, also hoping you’ll pick me! I’ve just recently been “turned on” to IK, and would love to check out some back issues! I just finished the Prairie Tunic in the Spring ’06 issue, and I love it! Thanks for the contest! ooh, that looks like a nice issue! please include me in the giveaway! Hi Jody, I’ve love to be included in the drawing, this looks like a great issue. Thanks so much! Another de-lurker. I’d love it!! If that’s the issue with the best friends doll in it (can’t remember if it was a summer or spring issue), then count me in. The issue it’s in is out of stock! Oooh, this is one of the old IKs I’ve been wanting. I’d love to be included in the drawing. Thanks! Oh, fun! Greetings from Chicago, and thanks for offering up your extra issue of IK. 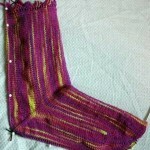 I’d love to read the article on improving my two-color knitting, and then make a pair of those mosaic mittens. Oh, I’d like a shot at the magazine too! 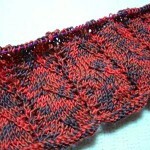 I’m also greatly enjoying your contributions to Wendy’s Sizzle tank pattern – thanks! I’d love to try that mitered rug. Pick me! Ooo! I’ve always wanted the one with Annie’s tea set! Thanks for offering! Another de-lurker. 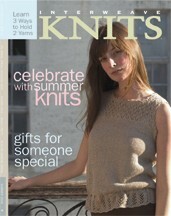 I’ve made the fair isle bag from this issue and I’d strongly recommend it to the winner. Thanks for the contest offer. Oooh pick me. I have been borrowing a friend’s copy of that magazine. I would love one of my own. Oooo… that is the issue before I started collecting! Coming out of the Lurker-closet to put my name in for the IK! I love the airy shawl, and it just might work out to be the ‘wedding shawl’ I have been blogging about! Oh I would love it! And what a great idea. Thanks. If you want to send it to Maine, I’m your recipient! Please and thank you. I am notorious for never winning. I would love to. 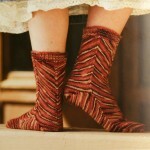 I love how generous knitbloggers can be! I’d love to win this issue, pick me! Some of those are gorgeaou. I’d love to win too….I never win anything…please pick me. And have you finished that diamond design top down sweater yet? I’d like to be entered into the drawing too – thanks! OOOH, please pick me. Yet another delurker. Sad that this is what it takes to get me to comment sometimes. MUST. MAKE. GIBSON GIRL PULLOVER. OMG OMG I love that sweater so much, pleeeeeeeeeaaaaaase pick me!!! I, too, would love this issue. Please include me in the drawing! Wow – a lot of people would love this mag! What the heck, I’m a joiner – throw my name in the hat as well. Thanks! ooh put me in, i love the fair isle bag and the lace shawl in that old issue! I’d be glad to take that off your hands. Count me in – thanks for offering! What a neat idea! I would love to receive such a windfall. Please pick me, please! I love the designs in this issue! Ahh, one of the best shawl patterns of all time: Madli’s shawl. I’ve been thinking about knitting it in alpaca lace. How perfect! -a give-away! Gibson Girl and the Victoria Tank are great patterns, too. Thanks for offering your spare copy. There are so many lovely items to knit. Please include my name in the drawing. Oh, please include me in your drawing! I’ve really been loving IK lately. I’d love to be included, as well. So many lovely patterns in this one. Thanks kindly for your gracious offer/contest/draw. Doesn’t IK have the best patterns? I love their magazine! Pick me! Pick Me! I would LOVE the IK! I would like to be included as well, if it isn’t too late. I know I live far away in Denmark, but perhaps! ooh – been looking at that issue – count me in! I would love that interweave. Well great, I don’t have this one either and if I don’t get this one, I’m going to have to go buy it. How did I miss so many issues? Especially ones with summer styles? Guess I better go check my mag stash to see how many extra copies I have to unload.